Run, jog, or walk your way into the New Year with the 9th annual PEEPSFEST® 5K! 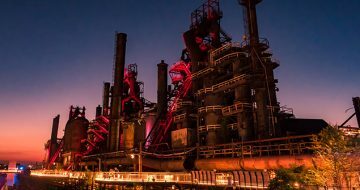 The PEEPSFEST® 5K route travels through both the north and south sides of Bethlehem, PA. The race starts and ends at the SteelStacks Campus. 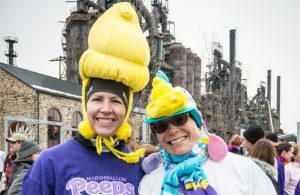 Each participant will receive samples of PEEPS® products and the first 500 registrants will receive a PEEPSFEST® 5K long sleeve t-shirt (shirt sizes guaranteed if registered by Dec.1). Registration/Packet pickup begins at 11 a.m.